So, the challenge faced by Claire Hind and Clare Qualmann and their workshop participants at Tate Modern seems to me a particular spiky and draining one. Nevertheless, there is plenty to refresh and replenish from the numerous wander-scores that have emerged from the Clare and Claire-inspired gallery-walking and composing among iconic modernist and postmodernist works. Taking a guiding intention “to disrupt, to make space, to play and to subvert”, while juggling “how [I] am supposed to experience art with space” and ironically (surely?) citing Debord’s excoriation of the directly lived “reced[ing] into a representation”, intuition and mimesis are bang into tension here. Creeping round Tate Modern after hours like Francis Alӱs's foxes, there emerge sharply useful scores for disappearing in the gallery, instructions for restrictions by tethering, walking as if one were a drawn line and then flummoxing transparent nudges like “peacefully disrupt daily life” that leave you with nothing to hang onto at all – and I begin to feel the same coming apart I feel for real – or anarchistic disruptions that turn out to be “a fiction”. If you can’t believe the anarchists.... maybe you had to be forewarned that the gallery walker might be as unreliable a space as the gallery walked? There is something fabulously true to the gallery in all this; resisting any kind of lionising (barely even celebrating) of galleries in general, or Tate Modern in particular, the edginess and unevenness of these tactics honestly tap into the anxious power lines and slippery planes of the many blank (unless you look closely) walls of many of these generic places. 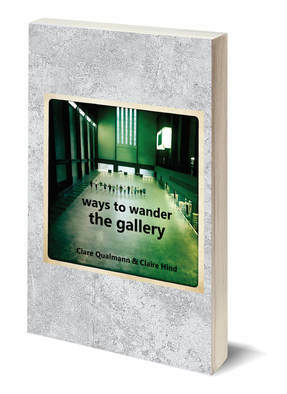 Which is not to criticise the galleries as galleries – I leave that to another voice, or another time – but to celebrate this collection of walking tactics as just as difficult, uneven, seductive and disconcerting as the places themselves. There is no resolution here, despite a contextualising introduction that sets the project in various contexts – procession, situationism, performance, collectivism – there is only the out-on-the-edge of trusting a few lines of suggestion to steer you around artworks with high cultural mega-wattage. Risky stuff for psyche and creative presence.